Home / Blog / Welcome to Eames.com! Eames.com is a new marketplace dedicated to authentic Eames designs. Created by fans for fans, for collectors, for interior specialists and for lovers of all classic design, Eames.com has the love of design at heart and is the only dedicated secondary marketplace for vintage and used Eames designs. Eames.com is home to the only true online Eames Wiki, packed with the things that buyers, sellers, collectors and dealers actually want to know about the original Eames design they have, they want, they sell, and they need! Whether it be an international dealer, hobbyist, collector, one-time owner or mid-century reseller, everyone is welcome to sell their original design on Eames.com. List and sell within minutes and take advantage of the secure platform and online marketplace to reach an audience that shares the passion. 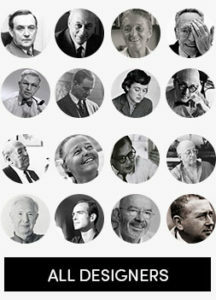 The Eames community has put together a true lifetime’s amount of knowledge and experience into producing a wiki guide of every design that ever hit the marketplace in the life time of Charles and Ray including product generations, years, colors, fabrics and all from the perspective of buyer and seller.